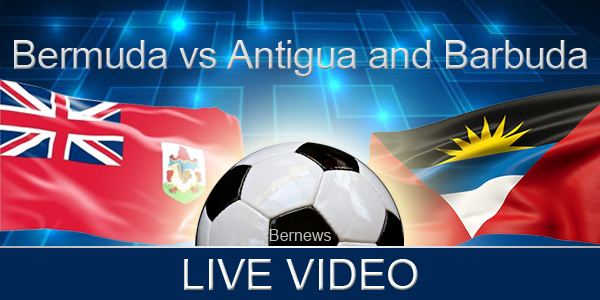 [Updated] The Bermuda Women’s Football team is matching up against Antigua & Barbuda this evening [Aug 31] as part of the 2018 Concacaf Women’s Championship taking place in Jamaica, and you can tune in and watch live below. This game is part of the Caribbean Final Qualifying Round being held in Kingston, Jamaica, and is Bermuda’s third game in the tournament thus far. They started out playing the hosts Jamaica, who defeated them 4-0, and then lost 2-0 to Cuba, and are also set to play Trinidad & Tobago. Update 6.20pm: Bermuda scores! Takes the 1-0 lead in the 14th minute. Update 6.59pm: Bermuda scored again, and takes the 2-0 lead into the half time break. Update 8.00pm: Bermuda win 5-0!